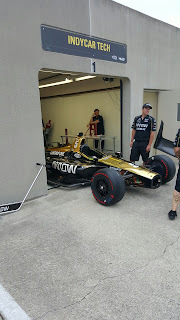 Thee Mayor 'O Hinchtown', aka James Hinchcliffe's No. 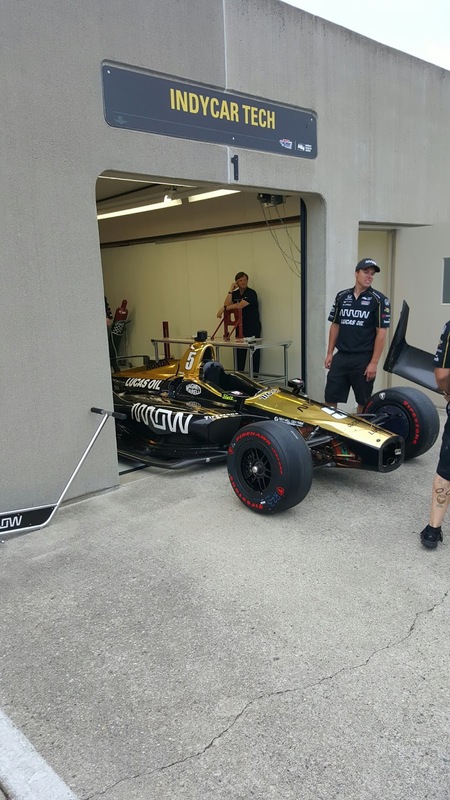 5 SPM Dallara-Honda exiting Tech Inspection at Indianapolis on bump Day, "The 2018 Edition." Now when do they fire that Gun, Eh? Ah Shucks, Yuhs knew It was Coming, Eh!